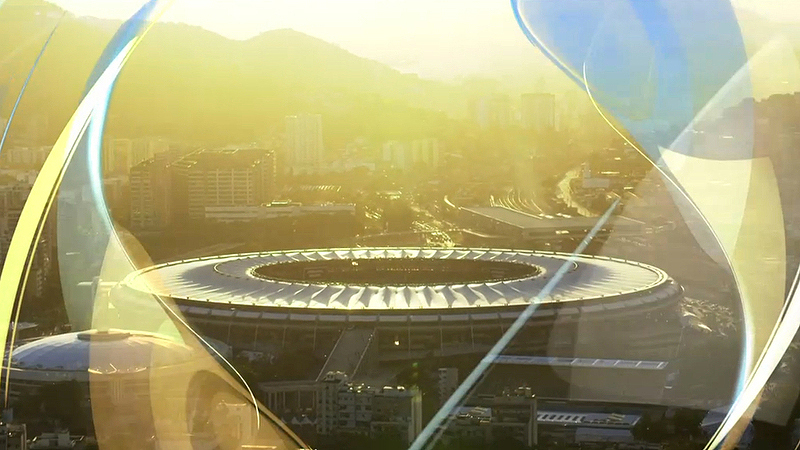 Besides being framed by impressive sets that incorporate Brazilian architecture, NBC has also chosen to pack its 2016 Summer Olympics coverage with a graphics package with a fresh design that blends local geography, nature and culture. 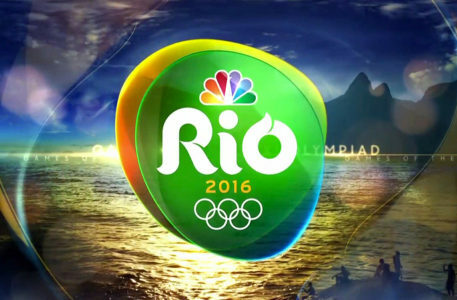 The centerpiece of NBC’s Rio look is, of course, the logo — dubbed the “pebble” internally and designed by the team at Trollbäck+Company with help from NBC Sports Group. For the color palette of the logo, and its graphics, the design team drew inspiration from the Brazilian flag colors of green, blue and gold and then coordinated the exact shades to match the network’s famous peacock logo’s plumage. Those colors do double duty by referencing the land, sea and sand — all part of the natural landscape of Brazil as well as Mother Nature’s venues for the summer games. The organic curves, which we’ve described previously as “amoebic,” are have cues to a variety of sources — the terrain of Rio de Janeiro, the flow of waves and coastlines and even swirls in the sand. In some applications, the logo becomes glassy and layered perhaps a further nod to the water and the intersection of nature. 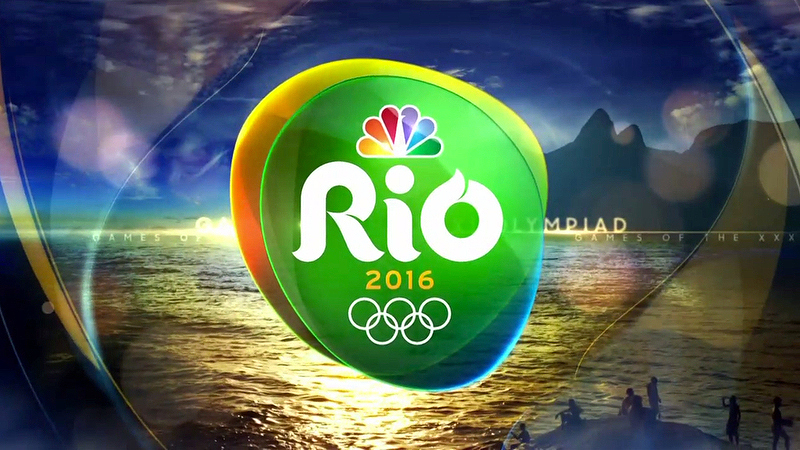 For the city name, which was shortened to “Rio,” NBC uses three custom drawn letters inspired by circular shapes that intersect to form small accent “tails” on each letter. In animations, the logotype tends to use a “flowing” look, giving it a sense of motion. 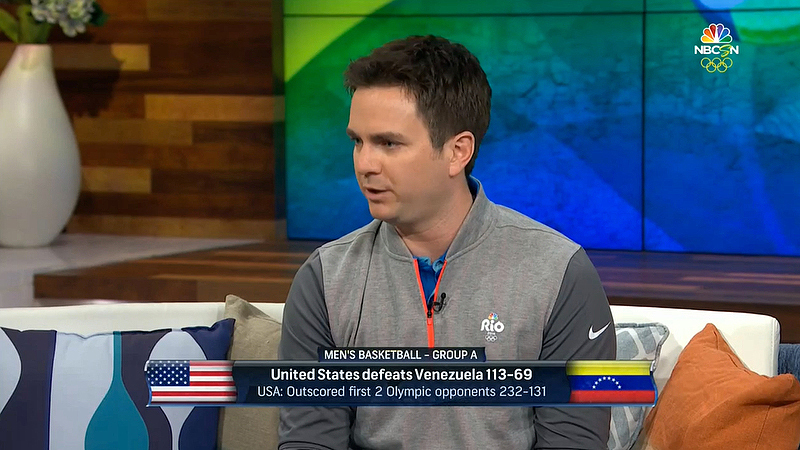 NBC’s graphics draw heavily on the same color palette and organic feel of the logo, but mix in other textural elements inspired by local art, geography and culture. In many places, a mosaic-like pattern can be seen — ranging from very subtle and almost entirely transparent to much more in your face. It also appears that NBC, at least at one time, intended the logo to have the mosaic pattern applied to it, based on internal style guides obtained by NewscastStudio, but that look hasn’t shown up in the wild in any significant applications. This tile look, which is also featured in the networks studio set design, is borrowed from the Escadaria Selarón, or Selaron steps, a notable landmark in Rio created by artist Jorge Selarón, who used glass tiles in sharp geometric shapes to create a sprawling piece of artwork spread across a steep set of stairs. The most obvious applications of the tile work, meanwhile, can be found in the fullscreen flag graphics that replicate country’s flags in the mosaic loo, often used as teasers or bumps between highlights. 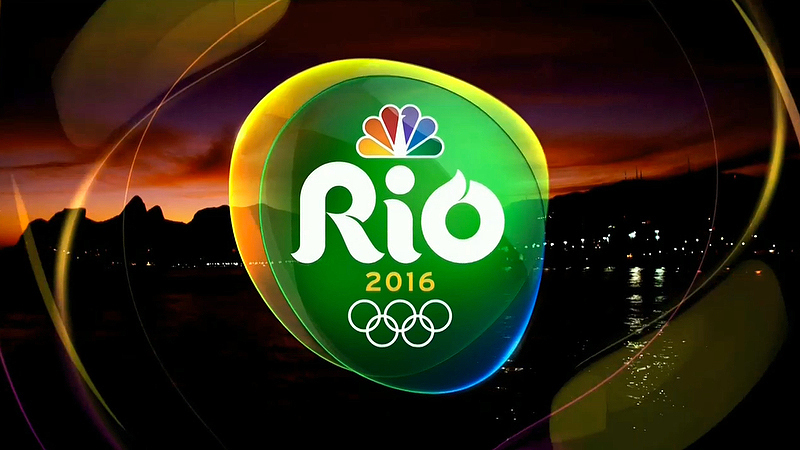 The logo’s watery feel is also applied across the NBC graphics package through the use of both a pebble-like shape to house sport icons and wavy lines in a variety of thicknesses and colors that flow throughout the graphics. 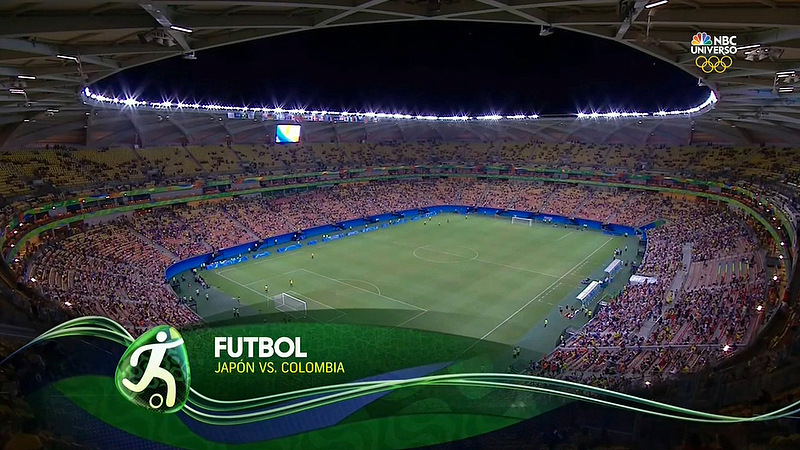 A more structured curved element, reminiscent of a waving flag emoji, is used when a more “controlled” shape is needed — such as for split screens between commentators or the aforementioned flag mosaics. This shape is also found in the package’s simple, floating teasers and provides an interesting blend of structure and freeform when used in tandem with other, more natural curved elements. Not only does this shape allude to the pebble, but it’s also worth considering that its similarity to the flag icons found on mobile devices could also be a subtle nod the international nature of the games. 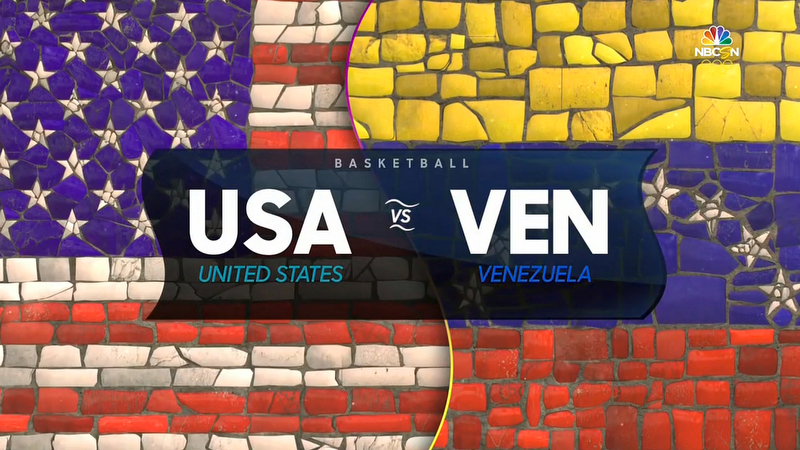 Of course, no Olympics look would be complete without references to gold — and NBC achieves this mostly through the use of animation. Not only do elements often have sharp but subtle metallic edges (which could also just as easily stand in for silver or bronze), but the package also transitions for a gold hued, monochromatic look to the more vibrant shades of the rest of the package. 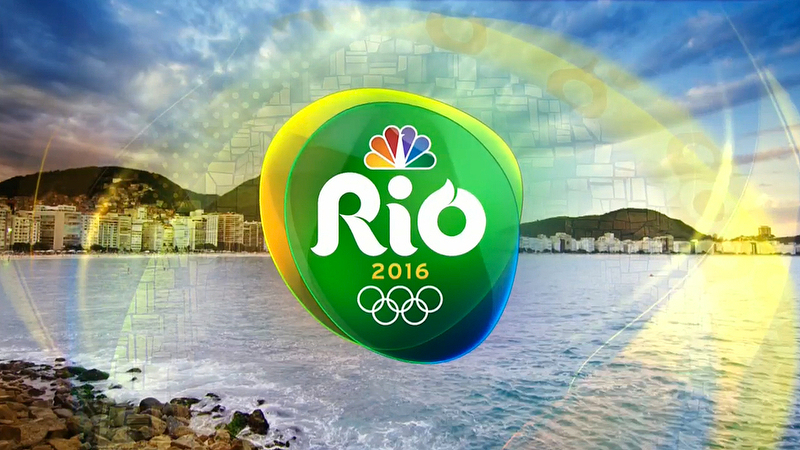 For the insert graphics, such as the lower thirds, NBC is using an updated version of its NBC Sports look, with wavy edges added to many elements to continue the Rio theme. 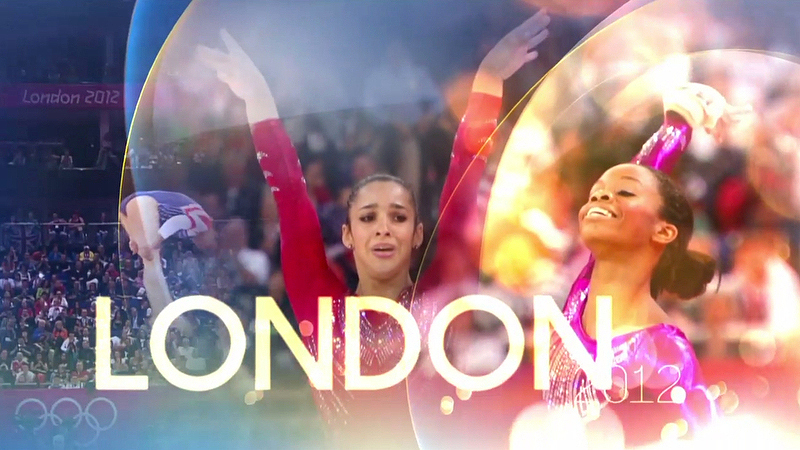 NBC Sports Group in Stamford, Conn., created the overall motion graphics package for the Olympic coverage. 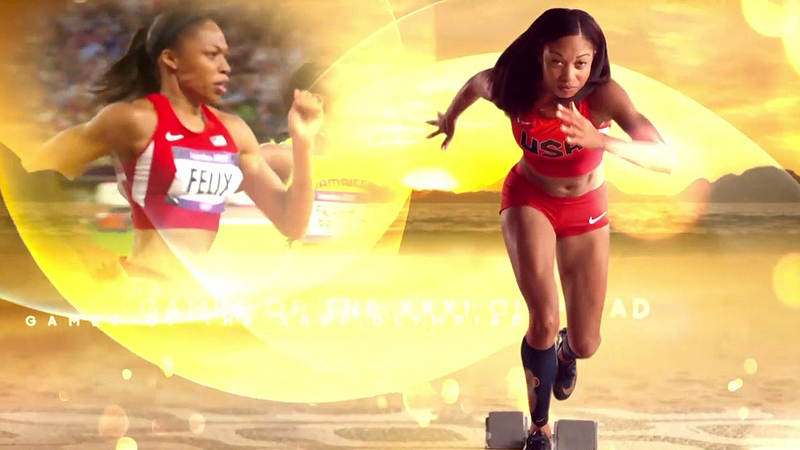 The main opening sequence, featuring John Williams’ iconic “Olympic Fanfare and Theme,” showcases vignettes of athletes from trials and past games, with layers of overlays. Through the open, NBC highlights the stars of the Olympics like Michael Phelps and Usain Bolt, building drama and showing the celebration of Olympic glory. Olympics viewers might also find some familiarity with this font — since it’s also the basis of the custom font designed for Hillary Clinton’s presidential campaign. 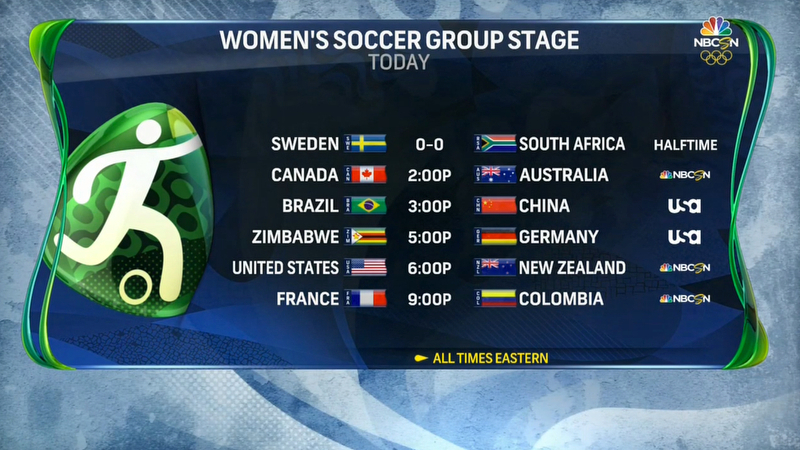 Elsewhere, the Fira Sans and NBC SN Frank fonts are used.